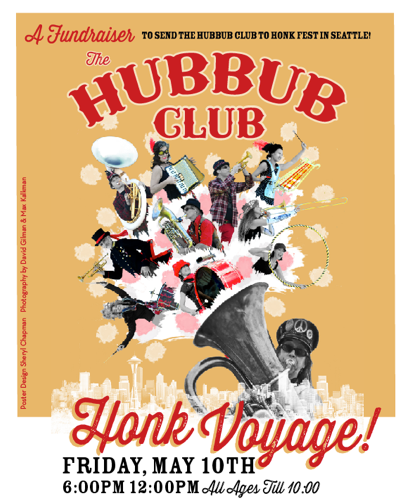 Join the Hubbub Club and Friends at Hopmonk Tavern in Sebastopol on Friday, May 10, 6-11pm for a party and benefit to send the band up to Seattle for HONK! Entry Tickets available here. A Lasana Dinner with Caesar Salad and Bread will be served in the beer garden, 6-8pm. Dinner Tickets available here.